The ground breaking ceremony of Nirman Group’s ‘Nirman’s Nakshatra’ housing project that is coming up on Aurangabad road in Nashik was held in presence of Janardan Swami Ashram’s Janeshwaranand Giri and Panchamukhi Hanuman temple’s priest Tyagi Maharaj recently. The pre-launch bookings of this project began from March 31. About 90 per cent of loan is available for a loan proposal of Rs 20 lakh in this project. Customers can book flats on paying just five per cent of the total cost of the flat. Amenities provided include good construction, elevation, garden, library, gymnasium, yoga hall, party area, planetarium and other facilities. 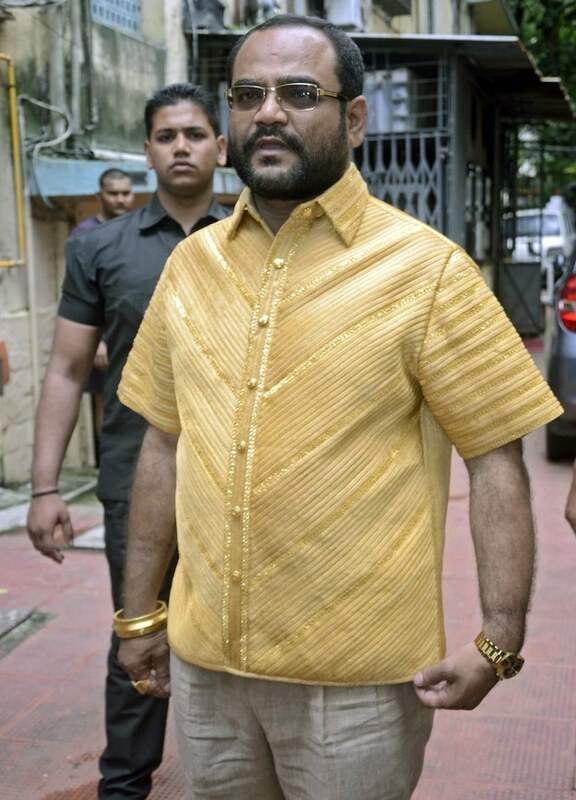 Maharashtra Corporator, Mr. Pankaj Parakh gifts himself a Gold shirt! !